Rex Institute has threatened a court action against the ruling All Progressives Congress, APC, for allegedly plagiarizing its Logo. This was contained in a letter dated November 19 2018 and addressed to the National Legal Adviser at 40 Blantyre Cres. Wuse 2 Abuja Nigeria, a copy of which was obtained by DAILY POST. Few hours after the launch of its campaign plans for the 2019 presidential election, a former aide to ex-President Goodluck Jonathan, Reno Omokri, came up with a claim that President Muhammadu Buhari and his campaign organization “stole” the logo from a thesis authored by Kelly Costner, an Associate Professor of Winthrop University in South Carolina, USA. The report has since generated a lot of controversies and the Institute has now threatened to drag the ruling party to court. The letter reads, “Dear Sir Without prejudice, it has come to our attention that the All Progressives Congress Party of Nigeria has stolen the intellectual property right of our client, The Rex Institute. 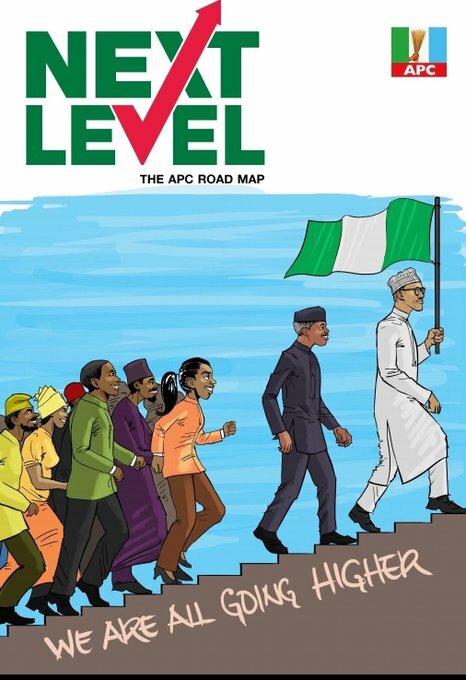 “As you can see from the attached visuals, the logo your Party has just unveiled and which is being promoted by the Leader of the Party and the President of Nigeria on his Twitter feed is a direct copy of that of our client, with just a small colour change in the arrow. “However, every other element from the name, font and design is identical. In fact, in my entire legal career, I have never seen such a blatant piece of plagiarism. “We, therefore, demand that you immediately cease and desist in any use of the logo and make every effort to recall and destroy all materials which have already been disseminated.